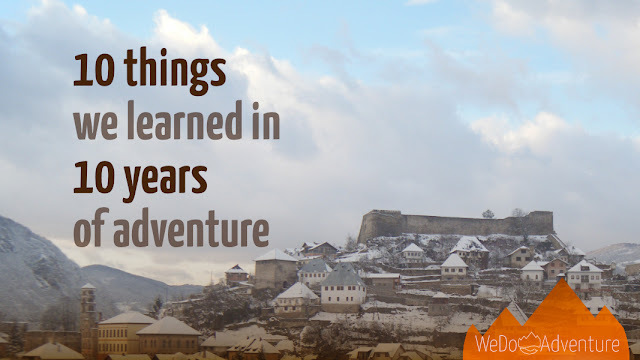 Last week we were part of a guided walk up one of the mountains that surround Jajce. Like in much of the rest of the country, you don't go for walks in the countryside without consulting local knowledge. Bosnia and Herzegovina still has an unknown number of land mines unaccounted for, despite it creeping closer to two decades since the end of the war here. Some are in marked mine fields; many are, at least assumed to be, still scattered indiscriminately in areas where fighting took place. It's not something you take chances with. As we hiked up in the hot sun we stopped in a bit of shade on the edge of a forest clearing. Here our guide pointed to the shallow hole in the ground that you might be able to make out in the picture. This was part of the frontline in the fighting that went on around Jajce. It was here that two guys who'd sat next to each other at school killed each other; a story horribly reminiscent of lyrics from the song Crazy by Seal. “One of them's got a gun, to shoot the other one. And yet together they were friends at school...” As the guide added, today you could walk past as if nothing happened, but we do well to remember the madness and pray it never happens again.